LAHAINA GATEWAY CENTER. Sunday: Maui Gift & Craft Fair, 9 a.m. to 2 p.m.; Sunday Concert Series featuring Elua Kane and more, 11 a.m. to 1 p.m., free admission. OUTLETS OF MAUI. Today, Saturday and Monday: Tahitian dance show, 6 to 7 p.m. Friday: Aloha Friday Sunset Sales, Aumakua Productions, 6 to 7 p.m. Saturday: Body & Balance Youth Dance Ensemble, 4:30 to 5:30 p.m. Tuesday: Ukulele lessons, 11 a.m. Wednesday: Tahitian dance show, 5:30 to 6:30 p.m.
QUEEN KA’AHUMANU CENTER. Thursday: Tai Chi, 10 a.m.; Groove to Moove, 10 a.m. Friday, Tuesday and Wednesday: Farmers market, 8 a.m. to 4 p.m. Friday: Blue Zones Fridays, 6 p.m.; Let’s Kokua Together with 99.9KISSFM, 6 p.m. Saturday: Friends of Hot Rods & Classic Cars, 6 p.m. Tuesday: Groove to Moove, 10 a.m. Wednesday: Maui Friends of the Library presents Haiku in English, 4:30 p.m. THE SHOPS AT WAILEA. Today: Coconut frond weaving, 2:30 p.m.; Polynesian show, 5:30 p.m. Friday: Island wood carving, 12:30 p.m.; Ukulele lesson, 3 p.m.; Pau Hana at The Shops, 4 to 6 p.m. Saturday: In-store yoga at lululemon, 8 a.m. Monday: Papa Hula, 1 p.m.; Lei po’o making, 2:30 p.m.; Ukulele lessons, 5:30 p.m. Tuesday: Coconut husking, 2:30 p.m.; Polynesian show, 5:30 p.m. Wednesday: Island wood carving, 10:30 a.m.; Lei po’o making, 1:30 p.m.; Concerts at The Shops featuring Paula Fuga, 5:30 p.m. to 7 p.m.
WHALERS VILLAGE. Tonight: Free movie “Ratatouille” screening on lower level courtyard, 15 minutes after sunset. 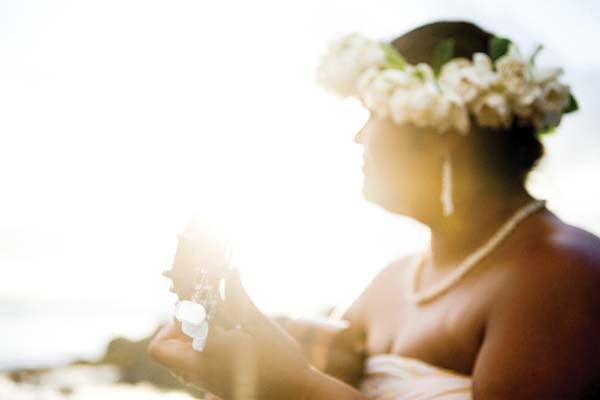 Today and Tuesday: Lei making class, 11 a.m. to 1 p.m. Friday: Hula lessons, 3 p.m. to 4 p.m. Saturday and Wednesday: Hula shows, 7:30 to 8 p.m. and 7 p.m. to 7:25 p.m. Sunday: Live music, 6 to 8 p.m. Monday: Ukulele lessons, 2 to 3 p.m. and 3 to 4 p.m. Tuesday: Free movie “Big Hero 6” screening on lower level courtyard, 15 minutes after sunset.